Using Fluff's Hybrid Khajiits and Argonians and found yourself a black faced Khajiit or Argonian from another mod? Say no more. I opened up CK and generated facegeom for these unfortunate souls so they look decent enough. I assigned KS Hairdo parts, eyes, removed floating parts, and moved some sliders for variety. Permissions are essentially the same as what butidigress has on their Hybrid mod pages. I recommend checking them out as that's how I got mines. Big Thanks to FluffEisenkette﻿ for the creation of the original mods and butidigress for re-uploading and maintaining the mods for SE and giving me permission to upload my makeshift facegeom! Thanks to you folks, I don't remember what a Khajiit or Argonian look like anymore! If you're looking for the mods I am patching there's the Khajiits﻿ and the Argonians﻿ so go check them out since that's what you need in the first place. While small in number, I'm only patching them for the sake of fixing darkface bug. I may find the time to make them look more aesthetically pleasing but this is the first time I've ever uploaded a mod. Currently I'm just patching what I have in my playthrough that adds in Khajiits and Argonians but I wouldn't mind requests for mods I may find interesting down the road. Keep in mind this is my first ever mod that I'm sharing so it's possible that it works for me but not others. Hence, I welcome reports to show me my errors. You will of course require the files that Fluffjiits and Fluffgonians require, especially the KS Hairdos. You probably only need the assets for the hairs to show up and need not keep the esp on, but I use it myself so I don't know. I'm sure you know how to install. Load patches right after the second master in your load order (one of the Fluff mods or otherwise). They are flagged as ESLs so they shouldn't take up the 255 load limit. If there are mods out there that edit the NPCs that are being patch, there will be conflicts I bet. 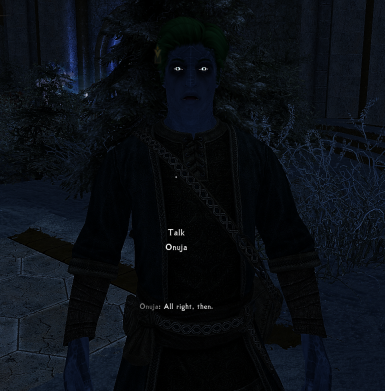 But so far I do not know any other mod that drastically edits appearances of these NPCs. SSEEdit will surely fix most problems. 1) Loading up SSEEdit with the the mod that adds new Khajiits and/or Argonians (Ex. Legacy of the Dragonborn). 2) Find the names of the npcs and note them down. 3) Open up Creation Kit and load up one of the Fluff mods along with the mod that makes additions. 4) Find the npcs through the Actors -> Actor -> Actor section and search the races. 6) Save then ctrl + F4 to export the facegens alongside the newly made esp file. 7) Being a patch you can certainly flag it as an ESL without problems for now. 8) With MO2 it should appear in overwrite folder; Just make a mod out of it and you're set. 9) Test things out to be sure. I only did all this less than a week ago through pure willpower and putting to practice this wonderful facegen export guide by Shiva182﻿ and these steps worked for me.